Many pet owners will attest to the fact that their pet is truly the most remarkable and extraordinary character around. Our pets have a way of filling our homes and hearts with insurmountable amounts of love and laughter, so they become unique individuals to their owners, but there are those that have pets that truly break the mold. Exotic pets are certainly eye-catching, and are the most ideal pet for many for whom the standard cat or dog did not suffice. Whether it be a show goat that charmed his way into the home, or an iguana that has a way of stealing all the attention in the room, an exotic pet can be a truly remarkable companion. 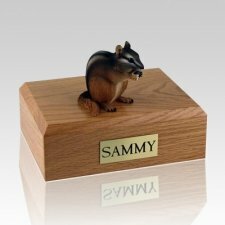 For those who have loved and lost a truly unique friend, the Wildlife Urns may be of great interest. 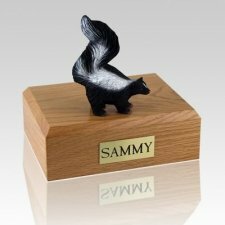 Cremation has been a very popular form of disposition for many years, and the trend is certainly noted in the pet memorial market. 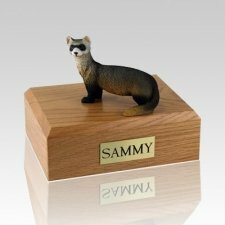 Wildlife urns embody this development, and offer a variety of cremation vessels that will perfectly capture the 'wild spirit' of any exotic pet. 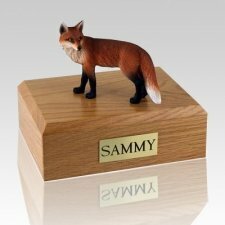 These beautiful vessels feature an exquisitely detailed figurine of the species of animal, which is showcased by the elegant wooden base. 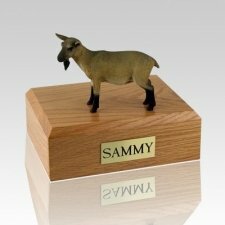 The wooden base actually serves as the ash urn, and is available in either oak, cherry or walnut wood. 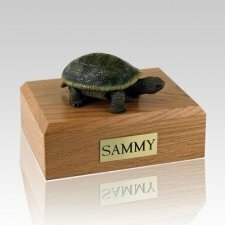 These beautiful urns can be personalized with a plaque, which will hold engraved information such as the name, dates, or even a small sentiment. 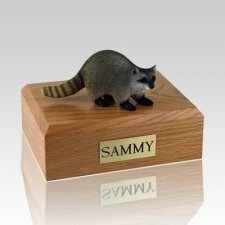 The figurines feature pets such as a chipmunk, ferret, turtle, snake, or even a raccoon, and so many more. As many who have owned any pet that is not of the typical class can attest, supplies and even veterinary care for our special friends can be quite difficult to come by. 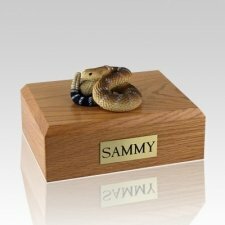 The loss of one of these wonderful creatures leaves many with the concern that a proper memorial vessel for them will be just as hard to find. 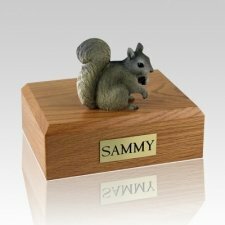 These wonderful urns offer families a distinct and unforgettable way to create a remembrance of a pet that was truly extraordinary. The loss of any pet is a heartfelt event that can leave the surviving family with insurmountable amounts of grief. The fact that those who did not get to know the pet as well as may not understand how deeply losing a pet can affect the owners can make the situation all the worse. 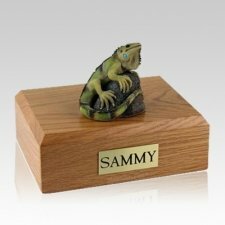 However, many find that commemorating the life of the pet in a way that reflects how important and loved they were can greatly help during the mourning process, and may even help in gaining closure; especially if the memorial is in an area that can be easily visited or seen. 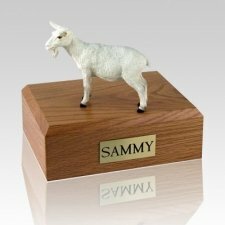 With that said, it is understandable how figurine urns, which capture the resemblance of the pet in three dimensions, can bring comfort to even the most troubled of hearts, as they remind us of the loving nature and unique features that we loved about our pets. 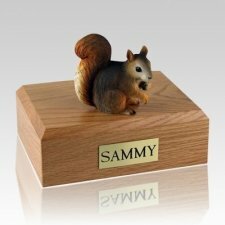 The discreet design and assembly that the wildlife figurine urns offer will help ensure that the vessel serves as a gentle reminder of the happy memories shared with the lost pet.